Hey Y’all – Below you’ll find a list of our team’s favorite tools for web design that we use in our nerd world. We list these links (some are affiliate links) here to help not only you find great resources, but to also help these great developers and companies get more exposure. Many of our students and our YouTube viewers ask us how we make our awesome WordPress websites. These tools listed on this page are just a peak inside of our nerd toolbox. Purchase with total confidence that our braggin’ means – they actually work! Yoast is the #1 WordPress plugin for SEO (Search Engine Optimization). This free plugin is always in the budget! If you understand how to use this plugin – it’s the equivalent of having an SEO expert in the room with you looking over your shoulder holding you accountable to the content your have on your website. See our YouTube Playlist to learn more about Yoast. If you ever watch our YouTube channel – you know that we are HUGE fans of Gravity Forms. This is a premium WordPress plugin that can create anything from a simple contact form all the way to an advanced sign up form, registration system, product checkout, or dynamic job board. You can do so much more with it too – you just need to get creative! Learn More with our Video Tuts. If you’ve followed our YouTube Channel over the last few months, you know that Kori has found a new favorite WordPress theme called Divi. This WordPress theme offers a powerful page builder and a very simple drag and drop way of editing the pages and posts. You can see Kori’s video on the Divi Theme Review. This is still the best selling WordPress theme on Themeforest.net. It is by far one of the best WordPress themes with an extensive list of options that will take you forever to navigate through – but once you have, you will have a theme that is not only one of the best looking, but you’ll also have a theme that will outlast other dying themes that tend to be forgot by their authors. We also have an online course that will help you set up Avada in 60 mins. While we highly recommend having your WordPress theme developed custom – if that’s just not in your budget, we have had great experience working with the themes at Themeforest.net. Be sure to read reviews of the authors and buy a theme that has been around for a while so that the errors have been found. You get access to the theme authors for support too. In our experience (not just opinion) WP Engine is by far the best WordPress hosting company! We have used several other companies in the past and worked with dozens of companies that our clients came to us on. All of them fall short of the award-winning customer support and outstanding WordPress knowledge that WP Engine has. This is who our website is hosted with and all of our clients get access to their premium, secure hosting as well. All of our webinars and even our times with clients for one-on-one training go through Zoom.us. We were tired of struggling with GoToMeeting and their clunky software to install. Google Hangouts is cool, but you can only have up to 10 folks join you there. Zoom is web-based, and very easy to use. You can’t beat the price tag either! Sign up for Free to Basecamp – an easy-to-use project management / client communication system. We have used this online software since day one with WebTegrity. All communication during a project build goes through here with our clients. It’s scaleable too so it can grow with your client list. We were shown this awesome plugin by another WordPress dev team so we thought we would pass it on. MailMunch is the “smart” pop up window you see happening on this website that allows visitors to sign up without being annoyed by actual pop ups. It even offers a free WordPress plugin. If you need a fast way to communicate between your growing team members – Slack is the best way to keep them in the loop. Based on the amount of your active users only – Slack is an added expense that very quickly will pay for itself. As soon as you sign up be sure to make a channel for “random gifs” and start the part with /gif Good Times! One of the most important things you can do for your dev team is to track their time spent per task. This is going to be key in learning how to charge appropriately and how to hold your team accountable too in their time spent for clients. We love Harvest and use it daily in our dev management. It’s very straight-forward and you can print a report for a client on the spot too. 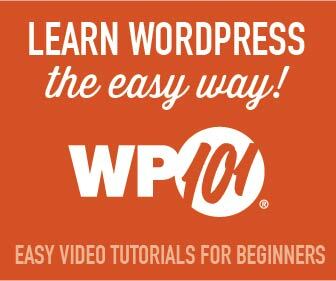 Find outstanding WordPress Video Tutorials over at WP101.com. These fellow Texans really know how to create an easy-to-follow course for those just starting out in WordPress. Take the courses step-by-step to fully learn how to use WordPress and get the most of the product. One of the best resources online possible to learn basic WordPress to even some pretty involved advanced WordPress. WP Beginner offers blog tutorials and some video instruction too for all things WordPress. Start in their Glossary area to choose the best topic to research. No matter where you’re located in the world – there’s probably a WordCamp within a few miles from you happening at least once a year. These are typically a one to two day weekend conference where WordPress fans, developers, authors, and even Automatticians come together to discuss all things WordPress. You can attend workshops that offer clear instruction on topics for total beginner to advanced security and plugin development. See if there’s one happening soon in your home town. Just like WordCamps – WordPress has another community event in your local area that happens more like once a month. 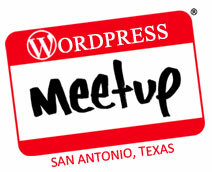 Check over at Meetup to find a WordPress Meetup group connected in your area. For those here in the San Antonio area, you know that we always meet for free several times a month. If you’re an entrepreneur working in the WordPress world – you need to follow WP Elevation. From their podcast you can find some incredible advice for growing your business and team. Our own Kori was a contributing author too. Find those here. These are other incredible folks and links for those in our WordPress world. Check ’em out! If you’re a fan of Genesis with WordPress – you’ve probably heard of Carrie Dils. We’re a little bias too because she’s a fellow Texan. Check out her podcast and be sure to subscribe to her blog. Live streaming each week on Mondays – you can find the always entertaining podcast of WPWatercooler happening. Our own Kori Ashton has been on their show a few times. You’ll be sure to learn something fun and cool each week. This is where we get our WordPress “Scoop” from each week. Outstanding insight to the WP world and they’re always providing a heads up to security issues, or great plugins that are new to the market. Subscribe to the WP Tavern blog and you’ll see what we mean. You can follow them over on Twitter too for the latest. We’ve watched Wayne over at WP Dev Solutions grow from an entry level WordPress developer to a now – lead WP Developer and WordCamp lead organizer. His blog offers incredible step-by-step instruction for advanced dev on your WordPress website. One of the most respected voices in the WordPress world is Chris Lema. He’s dedicated to helping WP entrepreneurs and businesses with experienced advice and direction. Connect with him today. You can even hire him by the minute for some quick advice. This book was written by the team over at Basecamp. While not every word was something compelling to us – we certainly found outstanding advice on handling growth and particularly how to focus your team on things that matter. Pick up a copy of Rework to see if you agree. The title reveals some of the mystery, but the subtitle is what drew me in – “10 Ways to Share Your Creativity and Get Discovered.” The idea that you should reveal your methods, your “behind the scenes,” your flaws, your skills and in so doing you’ll grow your brand and grow your reach. The author, Austin Kleon, is also a Texan – so you’re guaranteed to love it. If you haven’t heard of this guy – Simon Sinek, please stop and watch his YouTube TEDx Talk. He’s extraordinary. “Start with Why” has fundamentally changed the way we approach every project we create, the language we use on the website, and even how we teach. Another outstanding read from Simon Sinek. Leaders Eat Last: Why Some Teams Pull Together and Others Don’t will not let you down. This is a challenge to everyone in leadership to inspire, to lead by example, and to grow your team by finding like-minded hearts.